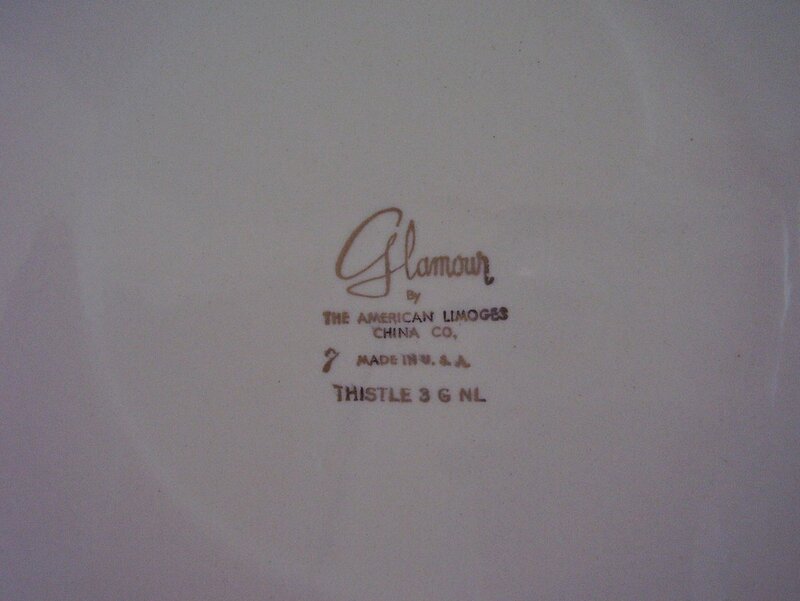 An American Limoges handled oval platter of the Glamour style in the thistle pattern. 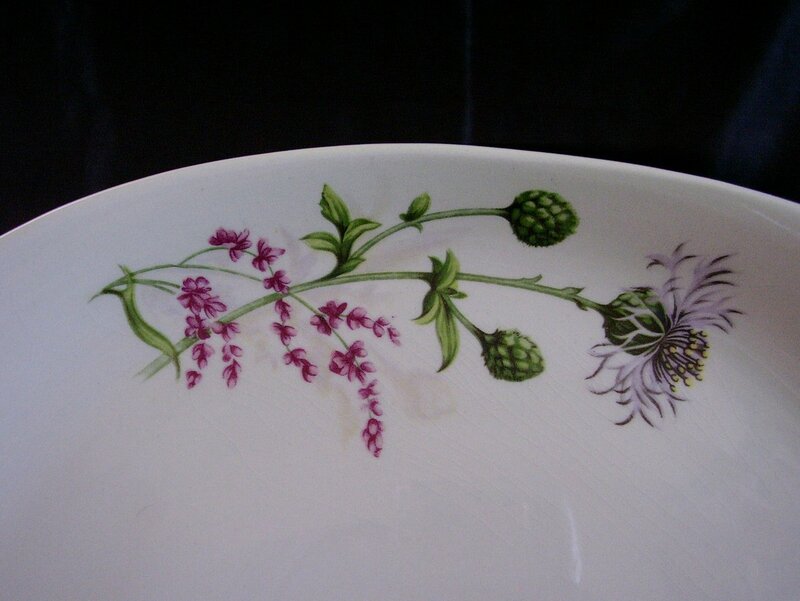 A beautiful pattern of pale lavender and purple thistles with green leaves. 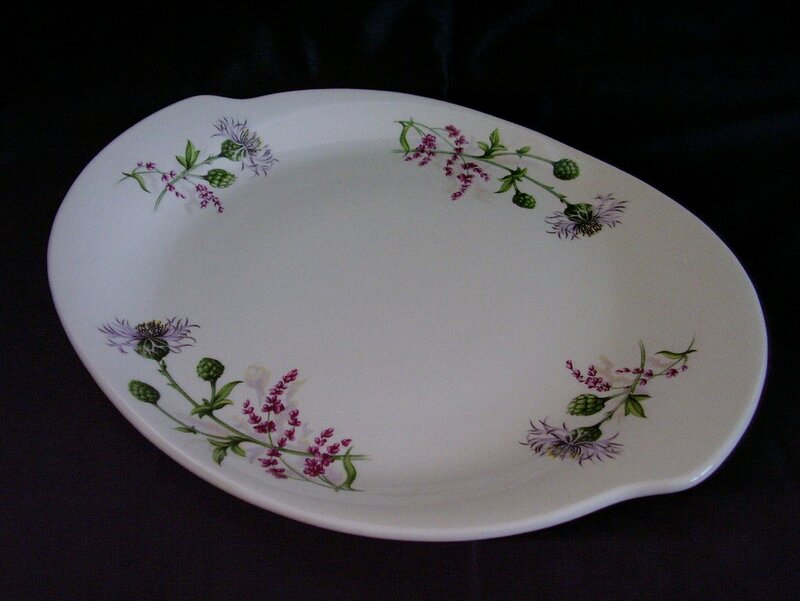 An American Limoges handled oval platter of the Glamour style in the thistle pattern. 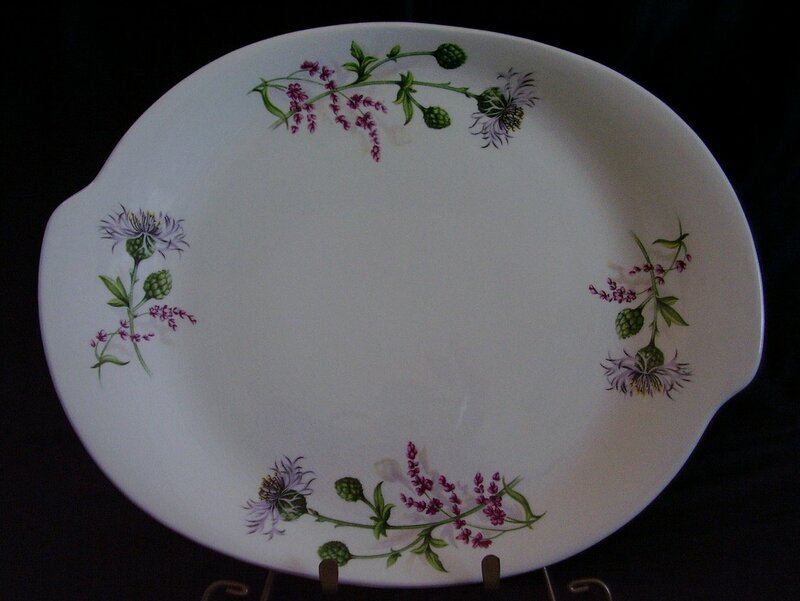 A beautiful pattern of pale lavender and purple thistles with green leaves. Back stamp appears to indicate that this may have been discontinued in 1955. The platter measures 11 1/8 inches wide, 14 1/8 inches across the handles. There is one minimal scratch that does not appear to been from utensils. There is crazing noted. No cracks, chips or hairlines.